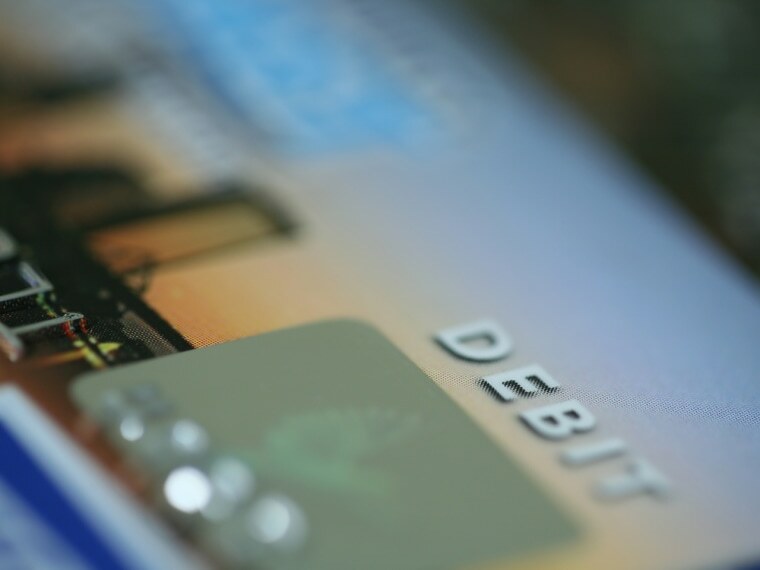 Many employers prefer to use a prepaid debit card, what’s commonly called a payroll card, to pay their employees. This may be convenient for them, but they cannot force you to receive your wages this way. The Consumer Financial Protection Bureau recently issued a letter to employers reminding them of the law and warning them that the bureau intends to use its enforcement power to stop violations. The CFPB has received complaints from employees that some companies – especially fast food restaurants and retail stores – pay all of their employees with payroll cards. Workers said they were upset about high and unexpected fees for routine transactions, such as checking the card balance and withdrawing cash. Natalie Gunshannon used to work at a McDonald’s franchise in Dallas, Pennsylvania. She asked for direct deposit to her credit union, but was told a payroll card – one loaded with fees – was her only option. Gunshannon said she feared that once all the fees were taken out, her pay would go below minimum wage. Shortly after quitting, Gunshannon sued the franchise owners and posted a petition on Change.org asking McDonald’s to “stop paying employees with debit cards loaded with fees” and to ensure franchisees give employees more options for payment. Her petition has been signed by 300,000 people. McDonald’s did not respond to our request for a comment. The owners of the franchise did change their policy and now offer direct deposit and paper paychecks to their employees. Nearly 4.5 million U.S. workers got their wages – totaling $34 billion – on a payroll card last year, according to the Aite Group, a financial research and consulting firm. The company predicts those numbers will more than double over the next four years. The Retail Action Project (RAP), an advocacy group that tries to improve workplace standards in the retail industry, worries that many low-wage employees don’t know their rights and are being exploited. Fee Information: Any fees for electronic transfer of funds to or from the card must be clearly disclosed in writing and in a form the employee may keep. Access to account information: The balance on the card must be available by phone. The 60-day account history (including any fees for fund transfers) must be accessible online as well as in writing, if requested. Unauthorized use: The employee’s liability is limited as long as the unauthorized use is reported within a certain time period. Error resolution: If the cardholder reports a payroll card error within a certain time period, the financial institution must respond. New York Attorney General Eric Schneiderman is looking into whether payroll card rules are being broken in his state. “No worker should have to accept a form of payment that reduces take-home pay and leads to hundreds of dollars in fees,” Schneiderman said in a statement to NBC News. The National Consumer Law Center (NCLC), which represents low-income consumers in the marketplace, believes payroll cards can benefit employers and offer workers without a bank account “an economical, safe and convenient way to receive their wages” if the program is well-designed. “For unbanked workers, payroll cards can mean no check-cashing fees, greater security without the risk of cash, access to pay despite natural disasters and the ability to make purchases over the Internet and by telephone,” said Lauren Saunders, an attorney with the NCLC. NCLC and the American Payroll Association recently issued a joint statement that spelled out best practices for employers. They include: using a card that is widely accepted, providing clear information about fees and training on how to best use the card, and allow workers to access their full wages in cash – without a fee – at least once each pay period. *The New York Attorney General sent letters to: Abercrombie & Fitch, Ann Taylor, Bed Bath & Beyond, Best Buy, Big Lots, Burlington Coat Factory, CBS, Chipotle, Church's Chicken, CKE Restaurants (Carl's Jr., Hardee's, Green Burrito and Red Burrito), Claire's, Coach Leatherware, Costco, Cracker Barrel, Darden Restaurants (Red Lobster, Olive Garden, LongHorn Steakhouse, Bahama Breeze, Seasons 52, The Capital Grille, Eddie V's and Yard House), Dollar Tree, DSW, Home Depot, Houlihan's, Kohl's, Limited Brands (Victoria's Secret, Bath and Body Works, Pink, La Senza and Henri Bendel), Liz Claiborne, Long John Silver, Macy's, Office Max, Payless, Petco, Ruby Tuesday, Sears, Staffmark, Starwood, Supervalu, Time Warner Cable, The Jan Companies (owns Burger King at 106 Fulton St. in NYC), TravelCenters of America, UNO, Walgreens, Wal-Mart, Wendy's, White Castle, Yum! Brands (KFC, Pizza Hut and Taco Bell) and Zara.